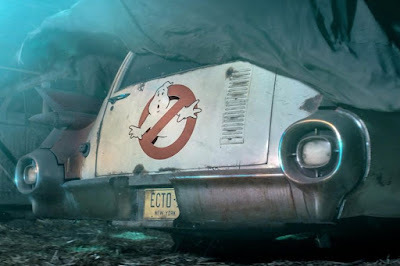 From the news that broke earlier this week, the new Ghostbusters movie will be directly connected to the original two movies. This definitely piques everyone's interest as it's time to finally get a proper continuation in the works. As one of the best franchises to come out of the '80s, we've been waiting decades to see the Ghostbusters get a sequel they deserve. Sadly enough, the reboot they attempted a couple years back was a failure critically and by audience's standards. Now, with Ivan Reitman's son attached to create and direct the new movie, it seems that things may be righted in the Ghostbusters' universe. It's now being reported that the continuation will feature a teenage cast that will be taking over for the classic characters. Apparently (and this comes as no shock), the older team will serve as mentors to a new found group that strikes up an interest in busting ghosts. Birth Movies Death has claimed that the script features a small group of 12-13 year old kids. Apparently, there are two boys and two girls that will be the main protagonists. With the current trend of things like Stranger Things playing to nostalgia, this would be no shocker.